• Fixes cache issues of get_account API on cli_wallet. • Fixes unexpected disconnect for p2p nodes. • Adds a new API for cli_wallet, pave way for transaction fee collection of new issued assets. • Researching implement virtual machine on GXChain. • First app on Blockcity, Yu’B Bao, a low risk cryptocurrency lending service, with 12% annual percentage yield (APY). Sold out in 15 seconds. • Txid displays on blockcity for GXS withdrawal. • In the meantime, we are designing more hash rate quests for users, will disclose them soon. • GXS foundation invested blockchain based real estate renting project — Lucia, valued 300 Million CNY. Lucia project is aiming to solve information asymmetry problems on renting market. • Another project on GXChain — Lendchain is under final test, will open public test for Blockcity users later this month. • To date, we received 548 applications for app development on Blockcity, we will choose some projects move forward. • Vincent Huang, Co-Founder of GXChain, presented “Blockcity as central business district in the future” at 2018 China blockchain technology & DAPP summit forum at Beijing on 29th March. • GXS wallet accounts doubled from 298K to 607K in less than 2 months, thanks to the popularity of blockcity. • Blockcity now have 1.04 million real name users. • Blockcity will launch its first app — LendChain, it is open to the 9999 genesis members. • Introduces NULS token to Blockcity mining pool, minimum hash rate for mining this token is 275. We will add more real projects backed token in the future. • GXS withdraw will be available this week, we will let you know by our social media. • Minqiang Huang, CEO of GXChain, attended two blockchain community meetups to share thoughts on the value of blockchain using GXChain and Blockcity as examples. • Blockcity reaches 1 million users, we are grateful for customers who support and trust us, and will bring more premium applications to the Blockcity. • GXS withdraw from mining events will available later this month, and ERC20 tokens will available on April. • Blockcity users close to 950K in less than 2 months. • Minqiang Huang, founder of GXChain, attended a live stream at 8BTC.com, introducing missions, visions and future strategies of our team. • GXS withdraw will be available later this month. • Residents at Blockcity passed 430000, including 50 Million times of rewards. We will continuously develop more useful applications on Blockcity. • GXChain builds collaboration with Asch, ATM, and MAG projects. Besides GXS, Blockcity mining pool can mine 3 more different kinds of tokens, and we will add more in the future. 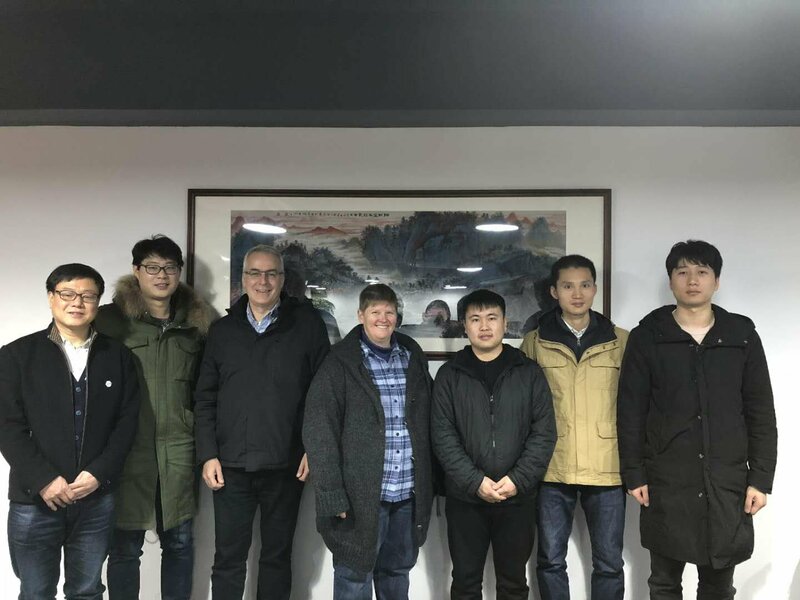 • Last Wednesday, GXChain team meet with Hyperledger’s VP Julian Gordon and Global Community Architect Tracy Kuhrt, discussed fabric structure, open source community, and further business development works. 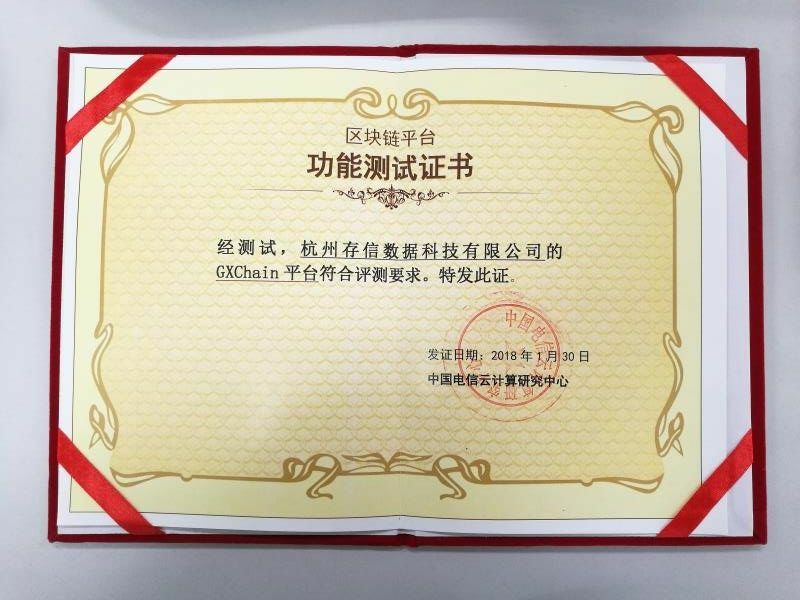 • GXChain passed all verification by China Telecom Cloud Computing Research Center, performance of GXChain receive massive recognition. We will add virtual machine for GXChain in the future. • Residents at Blockcity passed 300K now, including 23 Million times of rewards of GXS and UIP. We will continuously optimize user experience and develop more useful applications on Blockcity. • GXChain builds collaboration with more than 10 blockchain projects, we will offer more kinds of cryptocurrencies for mining on Blockcity. • Last weekend, GXChain operations team attended Cyanhill Capital Conference, introducing GXChain and Blockcity to attendee. Developer team attended Graphene Developers' Conference, Haoxiang Lan, core developer of GXChain presented how we built a decentralized data marketplace based on graphene technology. • Optimize Wallet API performance. • Practicing virtual machine for blockchain application. • Optimize RAM usage, reducing 99% traffic load for the wallet. • Close the entrance for loyalty program, and keep the entrance for historical records. • Launches functions in Blockcity, including mining, increasing hash rate, identification tags. • More functions for increase hash rate is under actively development. • The first “to customer” application(Dapp) on GXChain, Blockcity, launched on January, 12th. Blockcity reached 9999 residents in 27 minutes of opening, 50k residents in less than 7 hours, and 200k residents in 3 days of opening. Currently, Blockcity is opened for China only, and will open to more countries in the future. We will continually optimize the experience in Blockcity, and add new services. • GXChain builds collaboration with http://www.unlimitedip.com.cn/, it is a copyright online trading platform using blockchain. We will put UIP token, issued by this project to Blockcity mining pool as well. • 9 more Companies signed with GXChain for collaboration, including Shanghai Rongdu Asset Management Co., Ltd., www.boyacx.com/, http://www.uicredit.cn/, http://www.qzqsd.com/, etc. • The entrance for GXChain loyalty program has been closed, 11.6 Million of GXS are investing to earn 4-8% annual percentage yield, including 60% for 720 days. We are thankful and impressed by such a lot investors who trust us. • Adds Docker mirror for full node. • Fixes compatibility issues for some Android system. • Mobile wallet 2.0(BlockCity) is under final development, our core development team are working very hard on it. Download will be available on January 12th. • We finished GXChain upgrades & DApp launch event, presenting our business development progress and plans, as well as DApp will launch on 12th. January. A major introduction of the event is Proof of Data (PoD) algorithm and BlockCity, users can mine cryptocurrencies via sharing their data. In addition, whitepaper for DApp will be released this week as well. • To date, more than 10 Million GXS were locked for loyalty program, the entrance for the program will be closed by end of this week. In addition, GXS transaction fee was reduced 60% through voting from delegate witnesses. • Built collaboration with http://www.chainfor.com/ for blockchain article competition. • We are going to start marketing BlockCity. • Upgrades source code, supporting boost database. • Researching on blockchain virtual machine. • Adds txid for transactions records. • Mobile wallet 2.0 is under extensive development. • Optimizes and tests source code. • Solves bugs that may cause issues on RAM. • Adds "raw" support for json array structure. • GXChain will hold a presentation for DApp release on Jan. 7th, we are inviting heads, leaders and press in blockchain industry to attend the conference. In the meantime, we will live streaming this event. • To date, more than 9.95 Million GXS were locked for loyalty program, including 59.3% locked for 720 days.